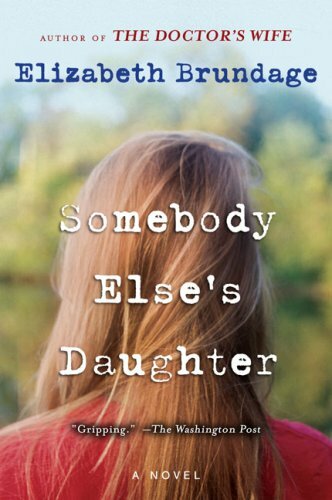 Like The Doctor's Wife - which The Boston Globe called "a compelling read"-Somebody Else's Daughter is a literary page-turner peopled with fascinating and disturbing characters. In the idyllic Berkshires, at the prestigious Pioneer School, there are dark secrets that threaten to come to light. Willa Golding, a student, has been brought up by her adoptive parents in elegant prosperity, but they have fled a mysterious and shameful past. Her biological father, a failing writer and former drug addict, needs to see the daughter he abandoned, and so he gains a teaching position at the school. A feminist sculptor initiates a reckless affair, the Pioneer students live in a world to which adults turn a blind eye, and the headmaster's wife is busy keeping her husband's current indiscretions well hidden. Building to a breathtaking collision between two fathers-biological and adoptive, past and present- Somebody Else's Daughter is both a suspenseful thriller and a probing study of richly conflicted characters in emotional turmoil. This one is going into one of my VBBs, once I have read it. I thoroughly enjoyed this book and would recommend it to anyone who likes a good story.